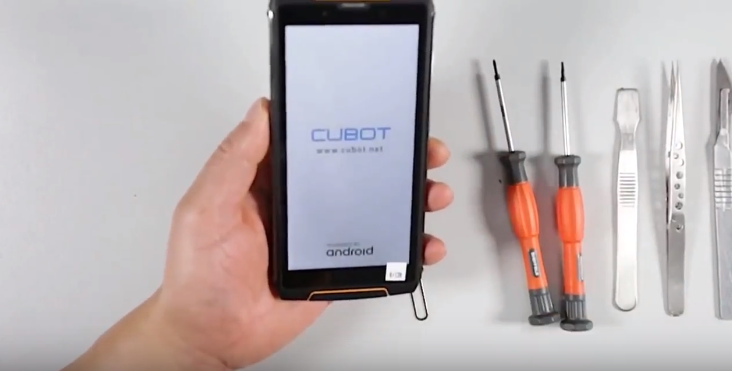 Cubot is a brand known for creating smartphones in budgets. It is a Chinese product which is an advanced version of cubot king Kong. 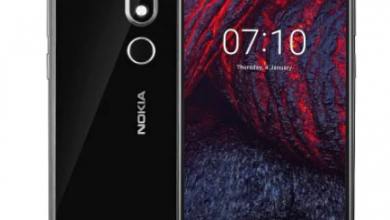 Though it’s not so popular it has attractive features in the low budget like great internal storage of 64 GB, the rear and front camera qualities are also impressive enough and so is it displays which is entirely different from other smartphones. Cubot king kong 3 4G Phablet has a battery capacity of 6000MaH Li-ion which gives you long-lasting battery life. So let’s get into the review to know more in detail about its qualities. Cubot king kong 3 4G Phablet comes with a stylish black body with dimensions 78.3×162.5×13.3(in mm). So if you are a black lover, then this would surely grab your attention. 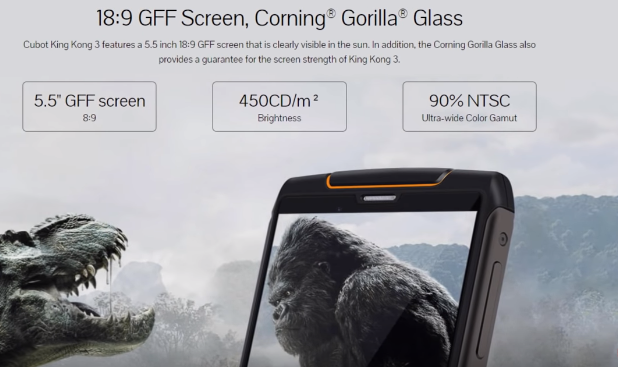 Cubot king kong 3 4G Phablet has an active and resistive body made of polycarbonate, and the screen is protected by Corning Gorilla glass which you can rely on. Its rounded edges provide a better look to it. Cubot king kong 3 4G Phablet’s displays comes with a 5.5 inches LCD capacitive touchscreen. Coming next to resolution, it has 1440×720 ( pixels) resolution with 24-bit color depth. Cubot king kong 3 4G Phablet’s pixel density is 293 PPI pixel per inch. It has an aspect ratio of 18:9 and a 2.5D curved glass screen. Cubot king kong 3 4G Phablet has octa-core four 4×2.3 Ghz ARM Cortex A53 +, 4×1.65 GHz ARM Cortex processor which makes the functioning of the phone efficient. 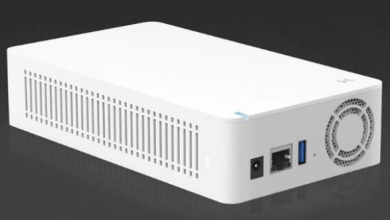 It supports Hd graphics, and you will have a better gaming experience with it. The processor boosts up the phone’s performance and has 64 bit CPU bit architecture. And also ARM Mali -T880 MP2,900 MHz 2- cores graphics processing. All this makes it clear to be a value purchase deal for any user. Cubot king kong 3 4G Phablet provides a better storage facility indeed. With 4 GB ram and 64 GB internal memory it becomes a large device where you can store many things you can also put a micro SD Card in it. 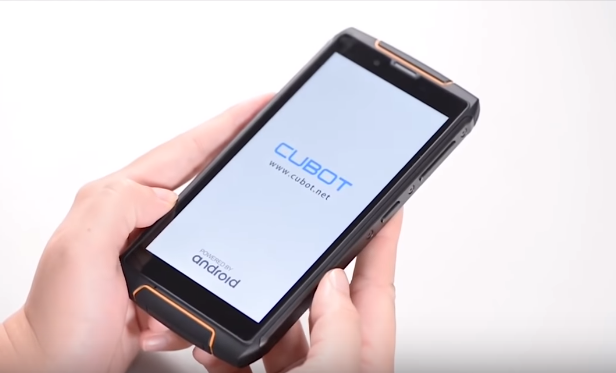 Cubot king kong 3 4G Phablet memory speed is 1600 MHz. It also supports expandable memory up to 256 GB. Cubot king kong 3 4G Phablet runs on Android 8.1 Oreo operating system which provides the phone a better balance and also the user interface comes with a modified version of Android. The UI adds up to your phone though not latest but still on an average it will serve you a lot. 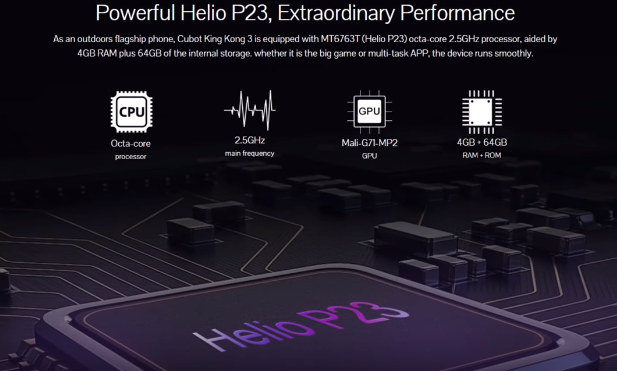 And Cubot king kong 3 4G Phablet will better co-operate with other salient features of the Phablet as well. Now coming to the camera, you are going to be impressed somewhat by its features. Cubot king kong 3 4G Phablet has a rear camera with 16 megapixels and a LED flash which provides full Hd recording for your videos. Its front camera is of 7.9Mp, but it doesn’t have a front-facing flash. Cubot king kong 3 4G Phablet provides autofocus and touches focus facility, and its aperture provides digital zoom exposure to it. This Cubot king kong 3 4G Phablet has good connectivity and so you can have lots of options. It provides good WiFi connectivity throughout. Also, you can enjoy Bluetooth facility, hotspot connection, listen to music via headphones or earphones as any other androids device. This set is provided with a card reader in it so it will also serve you a lot. So you can easily connect your phone with other devices and also to different networks and enjoy sharing of data as well. It also has a navigation system and efficient internet speed of LTE Cat 6 300 Mbps download and 50 Mbps upload. Also, it has OTG support and micro USB support A better connectivity anyhow makes your phone usage. Xiaomi Mi Fan Festival 2019 at GeekBuying with Up To 40% OFF!